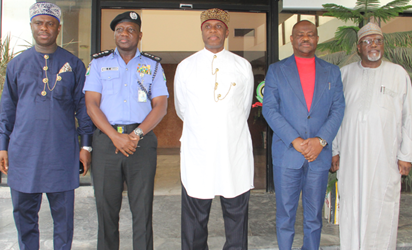 Photospeak;When Amaechi and Wike 's handshake and body language said more words than world war II ! Amaechi is like oya come sha take this handshake! Wike too is like is that only his hand or does he have a knife hidden beneath make i check well ohhh! lol. 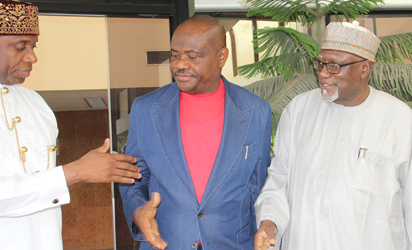 These two have been at each other's throats politically its almost unbelievable that Wike used to be somewhat of Ameachi's protege well before he "sold out" and went on to join APC. They once again had to meet and shook hands during a peace meeting on the re-run of the senatorial /house of reps elections in Rivers state recently .